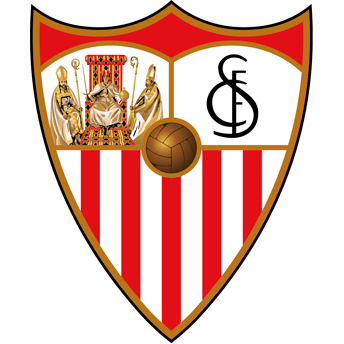 Sevilla FC did not disappoint their fans and they will be in the UEFA Europa League Round of 16. With a goal in each half securing yet another European win, the team had to overcome Franco Vázquez' sending off with half an hour to go, a moment which brought about the toughest period of the tie for the team. Lazio needed two goals, but Marusic's straight red card made it 10v10 and the Italians stopped believing. This is Sevilla's 18th consecutive win in European knock-out rounds which brings them into the draw for the Round of 16 next Friday. There was a lot of talk about the starting XI, with Roque Mesa earning the right to replace the suspended Banega, but it was to change with only four minutes on the clock. A muscular injury for Escudero after a dribble forced him off and he was replaced by Quincy Promes. Sevilla started with desire and controlled the ball, looking for openings against a solid Lazio who did not create much danger offensively. Even so, a lack of concentration after a quarter of an hour had Lulic receive on the edge of the box. 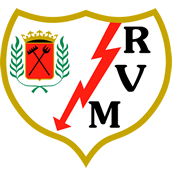 Vaclík's quick reflexes avoid any punishment while Roque Mesa got right of the danger by clearing it. Shortly after Vázquez was booked for handling at the edge of his own box and Cataldi sent the resulting free kick just over the bar. The match was fairly even but any Sevilla goal would make life more difficult for Lazio given what happened in the first leg. Ben Yedder took charge of that. The Frenchman managed to create something out of nothing on the twenty-minute mark. An excellent dribble, taking four players out of the game, resulted in the striker laying it off to Sarabia. The midfielder tested Strakosha from range and the Albanian goalkeeper parried it into the path of Ben Yedder who was left with an open goal. Many Lazio players protested the goal and Patric was booked for dissent, but the images did show that as the ball left Sarabia's foot Wissam Ben Yedder was not offside. The goal brought the game to life a bit more as Inzaghi's men took more liberties to look for the two goals they needed, however Sevilla were lacking in danger other than individual moments from Ben Yedder. André Silva had a chance following a cross from Vázquez but the Portuguese striker did not manage to connect with it correctly, but the clearest chances until the end of the game did come for Lazio. Immobile had a powerful but wild shot and then Milinkovic headed wide just before the break. There were no chances at half-time but the first one came only two minutes into the second half with Lazio's manager bringing on Correa for the Spaniard Patric. Sevilla did not start the half too well but they soon got back into it with a chance from André Silva. Lazio continued stacking and Acerbi had a one-on-one with Vaclík but the Czech goalkeeper showed his class by saving. Inzaghi looked to change the game by taking off Milinkovic Savic for Romulo. Unfortunately for Sevilla, the first thing the Brazilian did was get Franco Vázquez his second yellow card, with Sevilla finding themselves a man down with thirty minutes to go. They had to remain solid and Lazio began to believe that they could get the two goals they needed. Immobile, on his birthday, almost scored the first of them as he sent a chip just over the bar. Fortunately everything changed with Marusic's straight red for elbowing Roque Mesa, meaning for the last 15 minutes it would be 10v10 and the Italians began to believe less. The defining moment of the game came soon after following a combination from Sarabia and Jesús Navas. Navas received the ball from Sarabia before returning it to the midfielder who found himself in the box and he managed to beat Strakosha with the help of a slight touch off a defender's leg who tried to block the shot. The game had been sealed and the team and fans could relax and enjoy the final minutes which also allowed for Marko Rog to make his debut in Sevilla's colours. A clean sheet in both matches against one of the giants of Italian football which puts Sevilla as the first team to qualify for the Round of 16. The draw will take place on Friday in Nyon once the other 15 teams have been decided tomorrow. The only negative tonight was the latest injuries to the team: First, Escudero was subbed off and then Jesús Navas had to play the end of the game injured as the three substitutions had already been made, meaning they are likely to be a doubt for Saturday's game against none other than FC Barcelona. This league match is the perfect opportunity, especially after tonight, for the team to return to normality. Banega will return to the team after being suspended for the past two matches. Regarding the Round of 16, Franco Vázquez will miss the first leg while Wöber will be back from suspension. Sevilla keep fighting in their competition and they embark on a European adventure for yet another year. 2. SEVILLA FC: Vaclík, Mercado, Kjaer, Sergi Gómez, Jesús Navas, Roque Mesa (Rog, 82'), Franco Vázquez, Sarabia, Escudero (Promes, 6'), Ben Yedder and André Silva (Amadou, 63'). 0. SS LAZIO: Strakosha, Patric (Correa, 49'), Acerbi, Radu, Marusic, Lulic, Milinkovic-Savic (Rómulo, 56'), Badelj (Durmisi, 77'), Cataldi, Caicedo and Immobile. GOALS: 1-0, 20': Ben Yedder; 2-0 Sarabia, 78'. REFEREE: Anthony Taylor. Yellows for Patric, Caicedo and Immobile. Franco Vázquez was sent off for a double booking in the 60th minute while Marusic received a straight red card in the 71st minute.